Yesterday, we had a bit of a storm here in the Pacific Northwest. 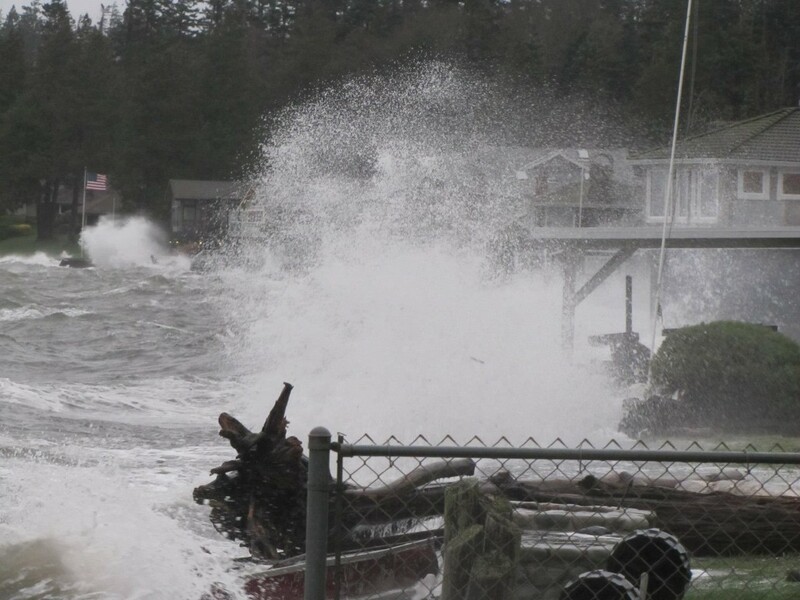 It generated nothing like the deadly tidal surges of Hurricane Sandy, I mean nothing, but it was still the largest storm we’ve had in more than 30 years, according to Mr. Salmon, our neighbor and long-term resident of our small beach community just north of Seattle. 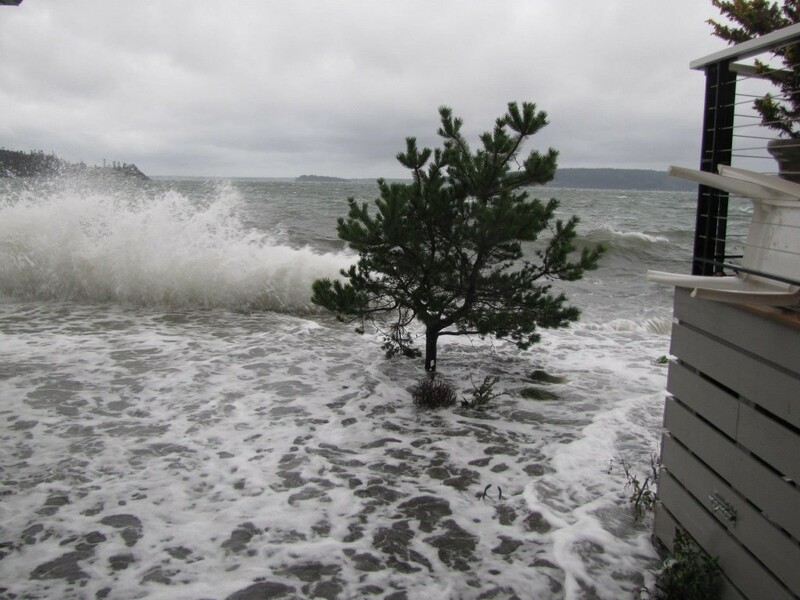 “Everything that was on one side of my garage was washed to the other side,” he observed, pointing at a garage door broken in by the very high tides generated by a combination of unusually high tide and an unusually strong windstorm. Our front yard. The Shore Pine made it through the storm! After spending the day huddling inside from the storm, venturing out only to see if we still had a deck or front yard, we came to our evening meal badly in need of comfort. To us, that means one thing, and one thing only. OK, it might even mean two or three things, but last night we were like hungry lasers, intently focused on Mac and Cheese. The Great Comfort Foods – and Why Do They All Involve Cheese?